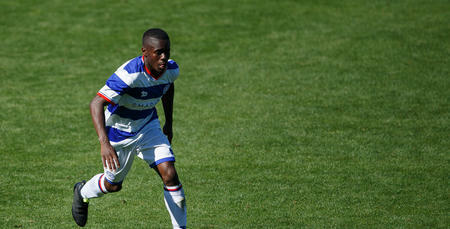 Queens Park Rangers face Ipswich Town in the Sky Bet Championship this Saturday. League action returns to Loftus Road following the international break and it’s the division’s second place team Ipswich who are the visitors on Saturday. It seems like a long time since Idrissa Sylla’s late winner had Loftus Road rocking in our last league home match which was subsequently followed by a narrow 2-1 defeat to league leaders Cardiff City. 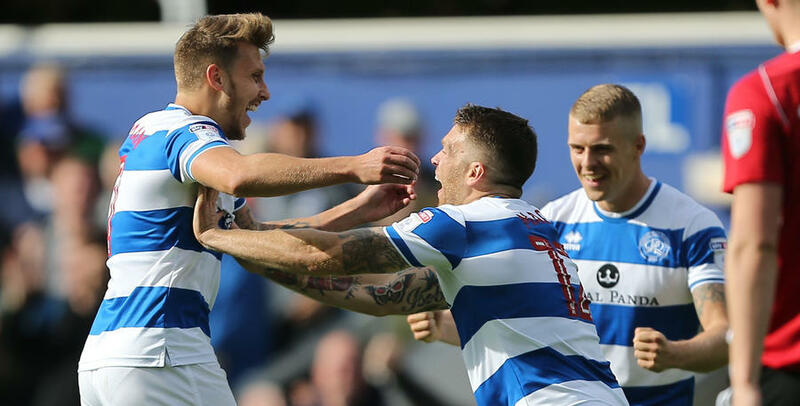 And despite what many have judged as being a very difficult opening month for Ian Holloway and his side there is no rest bite as the R’s take on perhaps the, so far, surprise package of the season. It’s not unreasonable to suggest that Ipswich weren’t backed by too many to be going into the first international break in the table’s top two but Mick McCarthy’s team have enjoyed a fine start to the campaign winning four of the first five games. The side from Suffolk have been competing in the second tier of English football for a remarkable 15 years. During this period they have finished in the play-offs three times and hardly ever flirted with relegation. But last season they had a fairly poor season by their standards, highlighted by the fact that they had their lowest placed finish since competing in the Championship. They had a run of games between February and April in which they won just two out of 12 matches and ended the campaign in 16th place. Mick McCarthy is the longest serving manager in the Championship having been in charge at Portman Road since November 2012. He has endured his fair share of criticism during his tenure, with much of it coming in recent months, but the general consensus is that the Republic of Ireland man has done a solid job working off what has been a fairly low budget for the division. He’s led them to a play-off finish and the season before last they ended seventh – missing out on the top six by just five points. The way the Tractor Boys have started this season gives their fan base hope that this can be another successful campaign. Not only have they won four games but they’ve scored nine goals – the current third highest in the Championship. One criticism of McCarthy last year was that his team was set-up too defensively – demonstrated by the fact that only four teams scored less goals than Ipswich and two of those were Rotherham and Wigan who both suffered relegation. They've brought in seven players in the off-season, including Martyn Waghorn and Joe Garner from Scottish club Rangers. Despite their good start to the season they were beaten 2-0 by Fulham last time out and were also knocked out of the Carrabao Cup by Premier league side Crystal Palace. Rangers picked up seven points from a possible 15 in August and will be looking to build on what’s been a fairly solid start. With a host of players away on international duty this week Ollie perhaps has not had the opportunity he would have liked to work with his players during the break. However, two new first team recruits in Bright Osayi-Samuel and David Wheeler have been added to the squad and they have brought a fresh energy to Harlington over the last week. 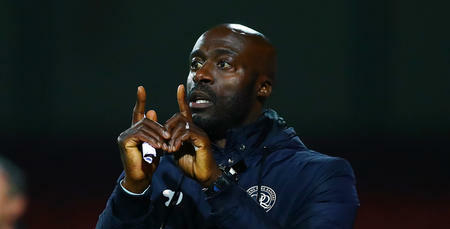 Pawel Wszolek's excellent late winner saw Ian Holloway win back-to-back games for the first time since taking over at QPR. Idrissa Sylla volleyed us ahead when he reacted quickest to Christophe Berra's poor defensive header. Tom Lawrence spectacularly equalised early in the second half as his powerful drive went into the top corner from 25 yards. David McGoldrick, Myles Kenlock and Lawrence had chances to put Ipswich ahead, but Wszolek rounded the keeper and shot home after a pinpoint long pass from skipper Nedum Onuoha. 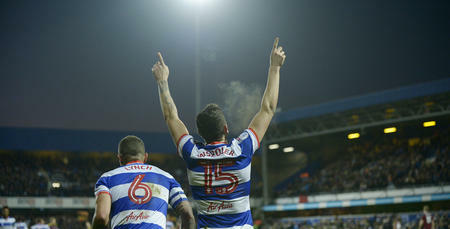 QPR have won our last three league games at Loftus Road scoring six goals in the process and conceding just one. Rangers have beaten Ipswich in the last four meetings at Loftus Road. Mick McCarthy: ""They're always going to surprise a few and they've got the advantage of Loftus Road which is a tight stadium. I don't think anyone would like to go and play them there. I'd like to know the dimensions of the pitch because it's one of those that looks really short. It might be as big as any other, I haven't checked, but they get a great atmosphere there, and Ollie is as good as anybody at organising and making them a threat, and generating a good atmosphere, and that's what he's done. He's not had any money to spend. I know there's players who they've spent money on in the past and whatever wages they've paid, but he hasn't been out splashing the cash because he can't. He's just got on with it and that's testament to him that that's just what he does and makes a competitive team." QPR: Ian Holloway has no fresh injury concerns after those away on international duty all returned to Harlington unscathed this week. Ipswich: Tom Adeyemi is expected to feature for the Blues first-team for the first time since his arrival this summer, but defender Tristan Nydam picked up an injury while on International duty. Captain Luke Chambers is expected to miss out following a knock he picked up a few weeks ago but new signing Callum Connolly could make his debut, after arriving on loan from Everton on transfer deadline day. Andy Davies: His last game in charge as a referee was Ipswich’s 2-1 defeat against Crystal Palace in the Carabao Cup second round on 22nd August.